Most of you guys already know, but just in case you don’t: I am a blogger without a laptop. I left my laptop in the cab that took me from Barajas to a friend’s house in Madrid, and upon realizing it, went through all of the steps to find it: police denuncias, stalking taxi drivers in line, passing out my business card to any taxista willing to help me out. Six hours later, I returned home a bit defeated, but mostly just tired. It’s not the end of the world. Still, I’m without the majority of my pictures until my parents come with the external hard drive at Christmas. So what’s a blogger to do with deadlines to meet and an audience to satisfy? Carry Camarón on me like a third arm. I left my new job at a a language academy on Thursday night to meet Gary of Everything Everywhere and one of my guest bloggers, Sandra of Seville Traveller, for tapas at La Bulla. 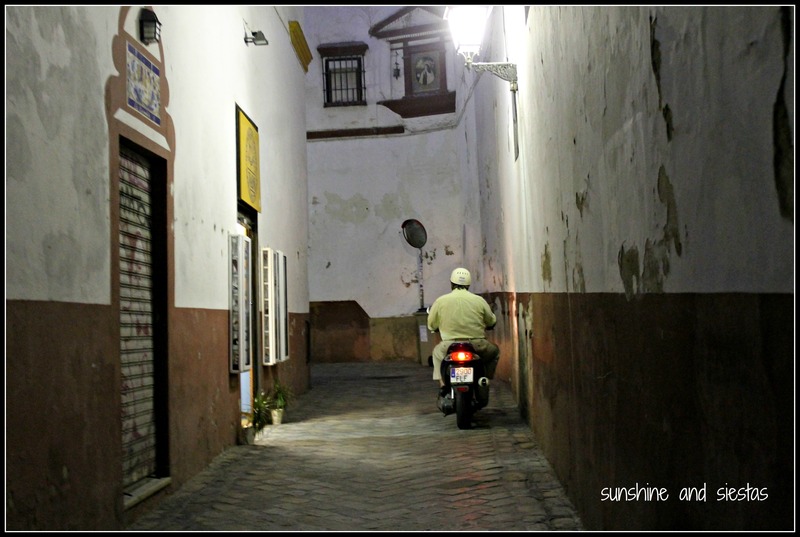 As I cut through Santa Cruz’s narrow streets, the few street lights illuminating ancient streets, I heard the ZOOOOOOOOOOOOOOOOMMMMMMM of a rickety old motorbike as it zipped by me. Camarón was buried deep in my bag, but he came to life just before the motorist disappeared around the corner and onto Calle Santa Teresa. Love taking shots? Been to Seville or Spain? 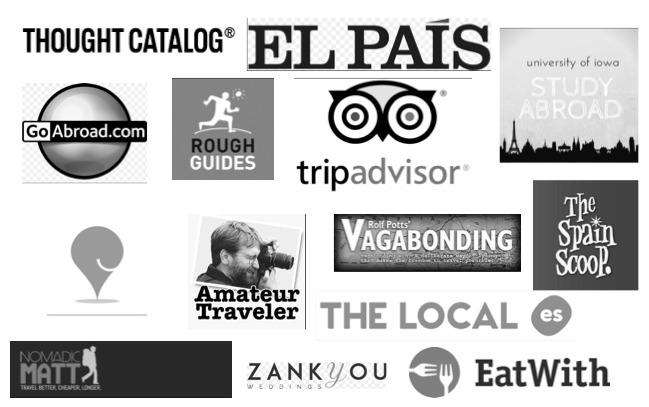 I’m looking for travelers with a good eye to capture beautiful Spain and contribute to my weekly Snapshots section. Send your photos to sunshineandsiestas @ gmail.com with your name and a short description of the photo and look to be featured here!